No, this is not a review of a weird kind of drone - nor is it of a scary-looking robotic vacuum cleaner. The above device is actually a WiFi router, one that impresses in both looks and performance. 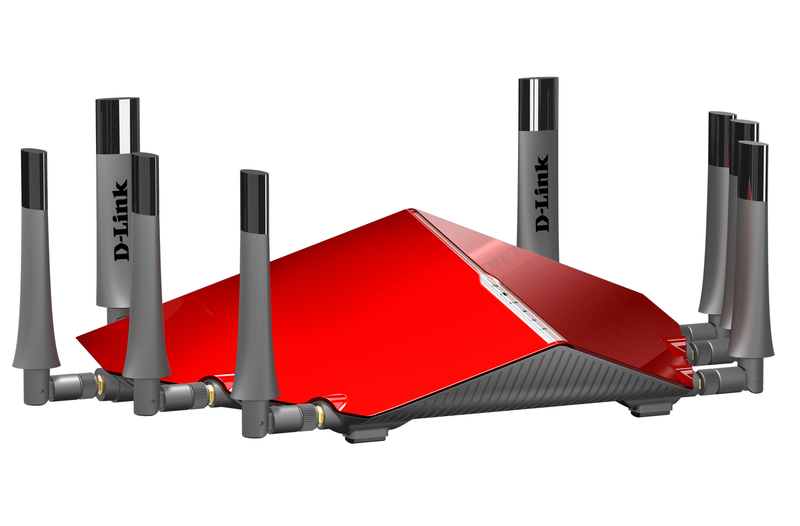 We check out the D-Link AC5300 Ultra WiFi Router. Sharp-eyed readers may notice that we've reviewed something very similar looking to this in the past: the D-Link AC3200 Ultra. Although the overall look might not have changed (with the exception of two extra antennae being added), the AC5300 features some souped-up internals to make this one of the most powerful and multi-faceted routers we've ever tested. Oh, and also the largest. 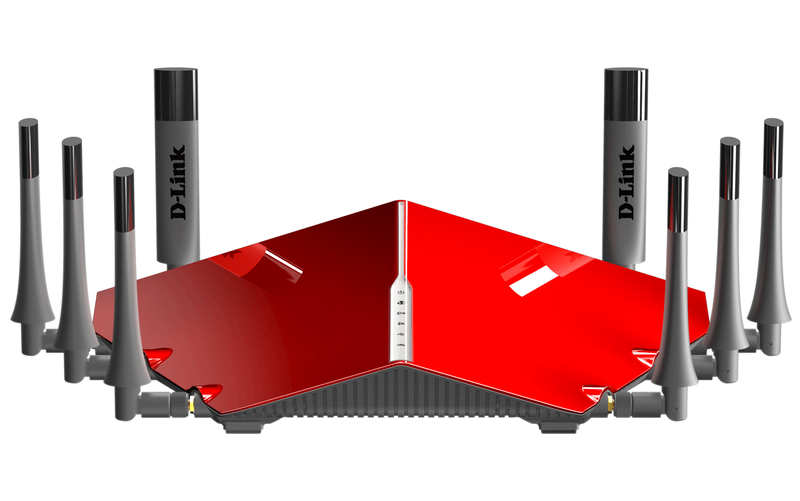 Yeah, at 25cm across, and all of those positionable antennae on top, the D-Link AC5300 Ultra WiFi Router is certainly a space-devouring object. Unlike other WiFi routers, which might have a flat or low profile, you won't really be able to hide this away very easily, so prepare to have it on prominent display. Still, once you hook this thing up and connect some wireless devices, you won't regret it at all. The D-Link AC5300 Ultra WiFi Router is blessed by Tri-Band connections, offering two 5GHz networks at 2167mbps each, and also a 2.5GHz network at 1000mbps. Added up, and there is your 5300 (or thereabouts). This means you have a healthy choice of channels to which you can allocate different types of devices, or indeed be confident that there will always be bandwidth available by hopping channels. 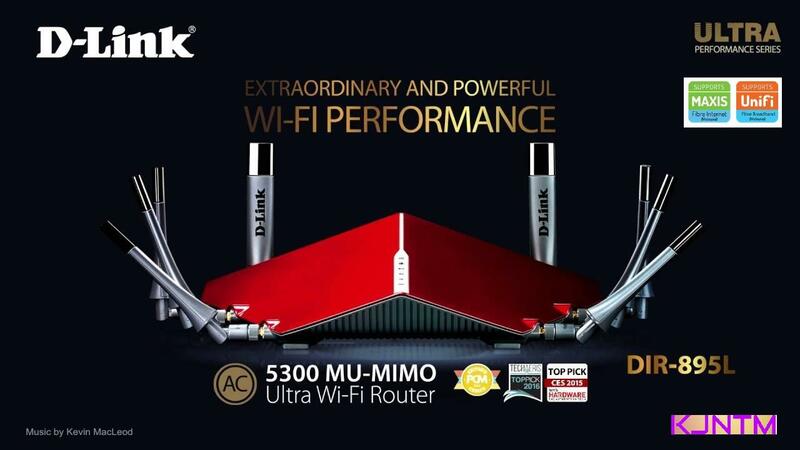 Heavy use is clearly what D-Link had in mind when designing the AC5300 Ultra, and that is no great surprise. Thinking about our own internet usage, especially at night, and we have several heavy-use computers and streaming devices suckling at that glorious internet teat. As a result the AC5300 features SmartConnect which automatically ensures that certain kinds of devices are connected to the right channels, maximising bandwidth efficiency. It also has MU-MIMO, which isn't a kind of cow language, but rather means Multi-User Multiple-Input Multiple-Output. This means that those eight antennae are cleverly used to talk to multiple devices at the same time, driven by the router's 1.4GHz Dual-Core processor. We noticed this working when several users, all doing something fairly involved and net-hungry, didn't notice any kind of lag associated with a crowded network. 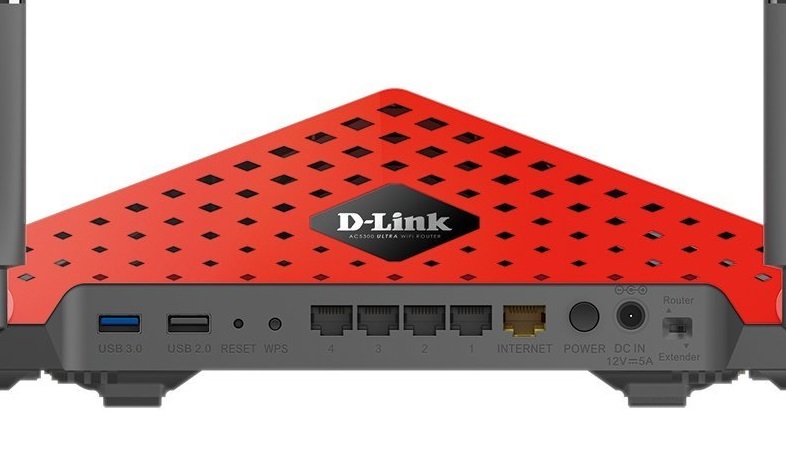 The back of the D-Link AC5300 Ultra WiFi Router features one USB 3.0 and another USB 2.0 port for attaching the likes of hard drives for media sharing, and the obligatory bank of empty Ethernet ports. All cable inputs, and the WPS button, are right at the back, so sitting on a sideboard the D-Link AC5300 at least looks tidy. In a place like ours, where often lots of people are making heavy demands upon the available internet, something like the D-Link AC5300 Ultra WiFi Router is practically a necessity. Having the router automatically assigned the right channel for each device that connects to the network saves a lot of user hassle, and the dedicated beam-forming for concentrated, focused streams of data to specific devices, makes for a handy operation. You might be put off by the somewhat aggressive look of the thing, but in use the D-Link AC5300 Ultra WiFi Router was reliable, effective, and solved a lot of internet headaches.